On the 18th October, Dr Hannah-Marie Chidwick visited Thomas Hardye School to deliver a workshop on the topic of ‘War in the Roman World’ to a group of Year 11 and 12 students. The students, a mixture of current and prospective A-level Classical Civilisation students, explored the life of Roman soldiers. Dr Chidwick introduced them to a range of exciting ancient sources, including the Vindolanda tablets and Julius Caesar’s accounts of his military campaigns. The students learnt exactly what it took to be a solider in the Roman army. Did you know, for instance, that a Roman soldier needed to be in their late teens, had to come from a labouring background and had to be at least 5 foot 8 inches tall? 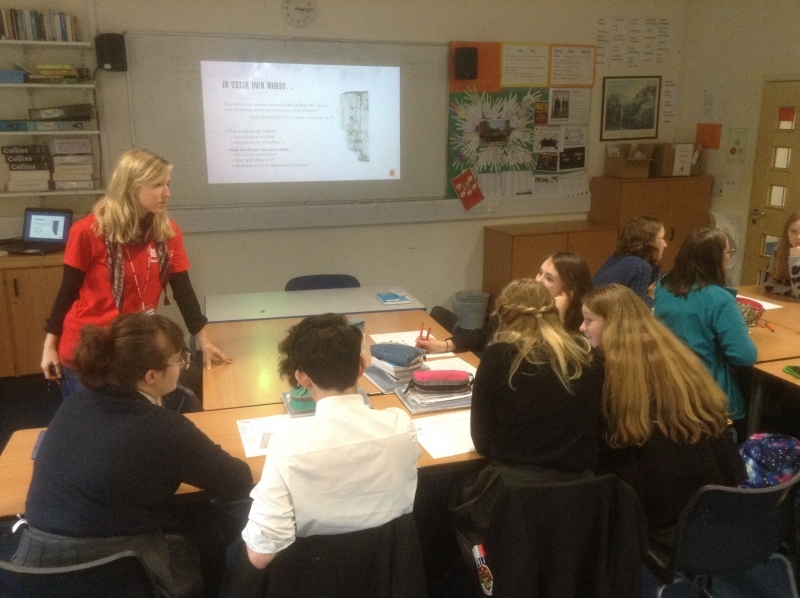 Dr Chidwick’s workshop was sponsored by Classics for All and the University of Bristol. The Thomas Hardye School is part of the South West Classics Hub, which has been set up by the University of Bristol to offer support and events for schools across the area. The South West Classics Hub has recently donated Cambridge Latin Course textbooks to the school to support the after-school Latin Club that has been running since the start of term. If any student is interesting in joining the club, they should come to the Communications block ICT room on Mondays between 3:30 and 4:30.